I’ll be honest: When I first visited Bali in 2014, I wasn’t all that impressed. Like most tourists, I followed the well-trodden path: I sipped Bintangs (Indonesian beer) in party-centric Kuta Beach, shopped in the malls of ritzy Seminyak and got my Eat Pray Love on in Ubud. And while I could see the appeal of these places, they simply weren’t my style. I wanted more nature, more adventure, more authenticity. But something kept drawing me back. 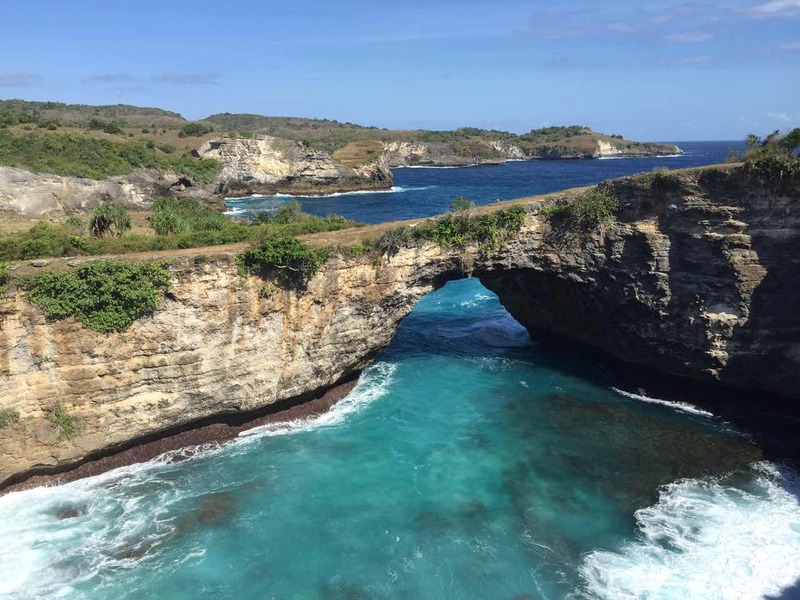 In the past four years I’ve visited the island six times, spent a total of seven months there, and thoroughly explored 10 different areas of Indonesia’s most popular island – all the while writing about it on my travel blog, Travel Lush. 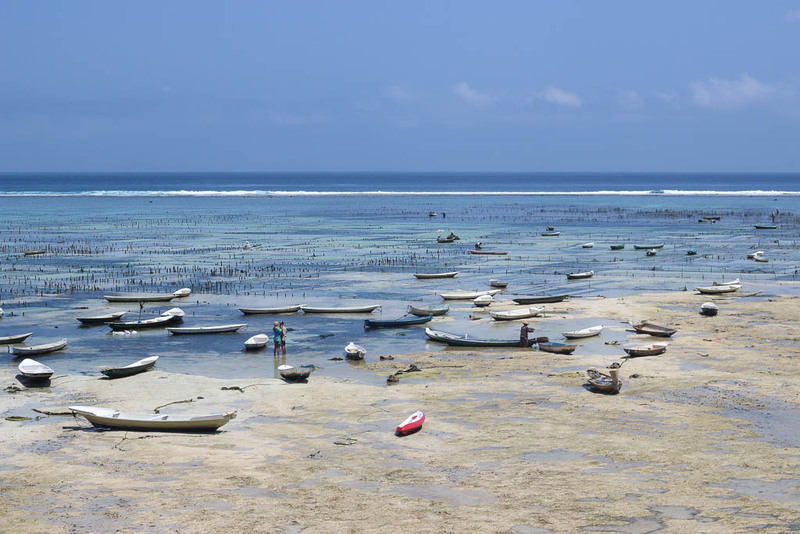 Fishing boats at low tide on Nusa Lembongan. Bali is the perfect winter getaway from smoggy and chilly China, and as it turns out, it is entirely possible to escape the hordes of tourists. So if you're plotting to get out of town, now might be the best time to book that last-minute trip to Bali ahead of Chinese New Year! If you're tempted by Bali, here are a few of my favorite, less-visited areas of the island. Location: Off the coast of Southern Bali. Who’s going: Nature lovers, divers, adventure seekers. Why: Hidden beaches and waterfalls, stunning vistas and cliffs, excellent diving and snorkeling. Nusa Penida is a blissfully undeveloped island a 30-minute boat ride from Sanur, one of Bali’s biggest resort towns. Despite being close to Bali’s tourist-clogged beaches, Nusa Penida is surprisingly chill. If you ask me, this is Bali’s best kept secret, though the word is rapidly trickling out. The island is roughly 200sqm, so the best way to see all of it's famous attactions is to rent or hire a motorbike. Scooting around the island is half the fun of traveling to Nusa Penida, but it’s not always easy. The roads are crude, and you will inevitably get lost. But those who do take the plunge will be rewarded with the turquoise waters of Atuh Beach, the stunning natural landscapes of Broken Beach and Angel’s Billabong, the natural pools at Temeling Waterfall, and the world-class diving and snorkeling at Crystal Bay. Pro tip: Know how to ride a scooter. The roads are rough and accidents are common. Location: On the coast of Northeast Bali. Who’s going: Divers, snorkelers, French families. Why: Volcano views, epic offshore snorkeling, WWII shipwreck sites. Tourist infrastructure has only cropped up in the last two decades in Amed, but it is definitely on its way. 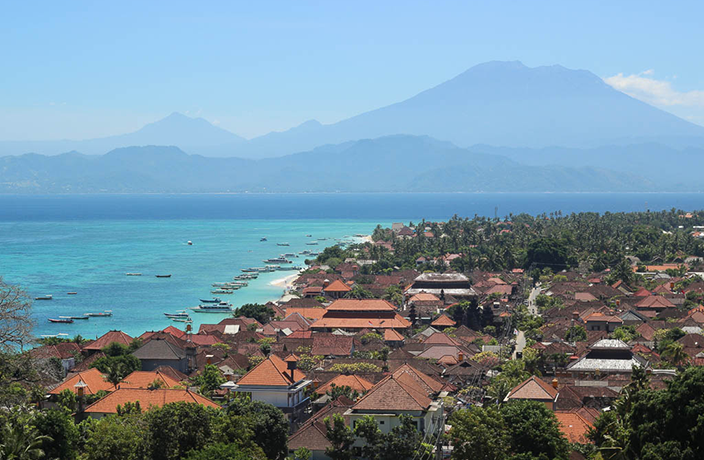 While the area is dotted with resorts, guesthouses and seafood restaurants, the vibe is still incredibly relaxed compared to Bali’s better-known beach towns. Amed proper consists of a handful of tiny fishing villages that extend along 14km of stunning coastline. Drive up the coast and you’ll see black sand bays, countless fishing boats and unreal vistas thanks to Mount Agung. Veer inland and you’ll spot the greenest of rice terraces framed by mountains that reach so high they’re ringed by clouds. 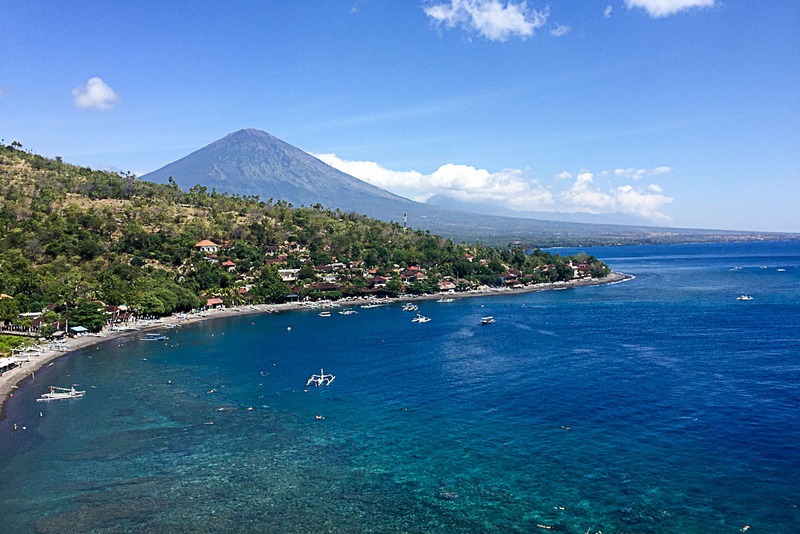 The perfect day in Amed consists of snorkeling right offshore at Jemeluk or Lipah Bay, lounging on one of the many black sand beaches and watching the sun sink behind Mount Agung at Sunset Point. For a full guide on things to do in Amed, click here. Pro tip: Rent a motorbike and take a drive inland. Most tourists just stick to the coast, but the mountainous terrain and hillside rice terraces make for some of the most stunning scenery in all of Bali. Who’s going: Surfers, beach bums, adventure seekers. Why: World-class surf spots, abandoned beaches, Hindu temples. 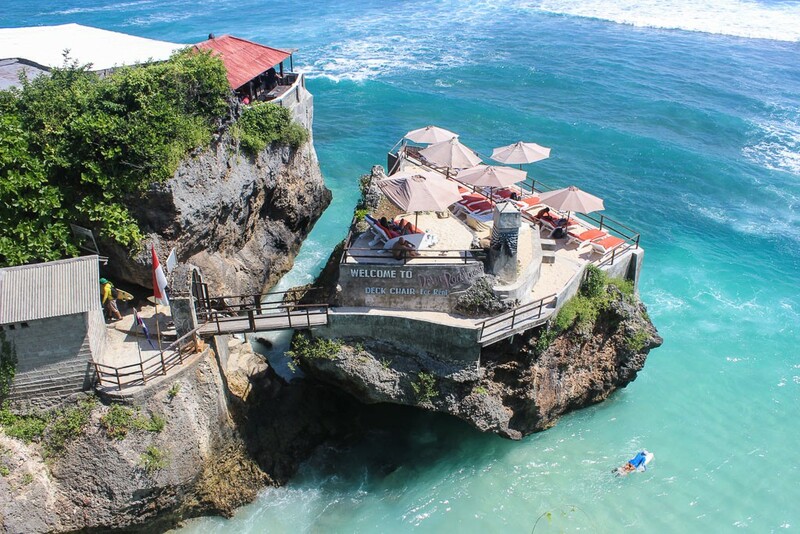 Most tourists that head to the Bukit Peninsula make a beeline for Uluwatu Temple, an 11th-century temple perched on a cliff 70 meters above the water. While I highly suggest it, the Bukit Peninsula is also home to some of the best coastline in Bali, which is too often overlooked. The peninsula has incredible surfing spots at Suluban (pictured above), Balangan and Padang-Padang to name a few. There are also picturesque and near-deserted beaches that are well worth hiking to, including Green Bowl and Nyang Nyang. Anyone looking for something a bit offbeat should take a ride to Melasti Beach. It boasts otherworldly manmade rock formations and breathtaking views of the ocean. An added perk is that barely anyone makes the effort to go here. So you’ll likely have the place to yourself. Pro tip: Monkeys abound on the Bukit Peninsula, so watch where you leave your stuff. Location: Southern Bali (10km east of Seminyak). Who’s going: Surfers, digital nomads and a lot of hipsters. Why: Great surf spots for all levels, Hindu temples, street art, restaurants and cafes. If Balinese cities had a superlative contest, Canggu would be voted the coolest kid in school. Yes, Canggu is touristy and popular, but it is also a more mellow alternative than Seminyak and Kuta. 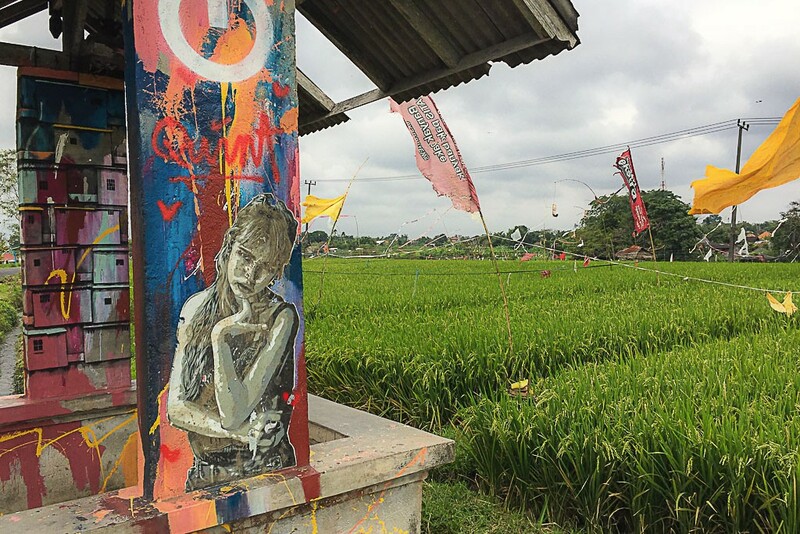 Canggu is known for its numerous surf spots, long stretches of beaches, green rice paddies and up-and-coming street art scene. Canggu is also becoming one of the top destinations for digital nomads in Southeast Asia. Hence the emergence of ultra-hip coffee shops, organic and vegan-friendly cafes and dreamy (and affordable) villas. It’s no wonder that so many people come to Canggu and decide to just stay and set up shop. It’s Bali’s next big thing, but for now, it’s refreshingly laid back. Pro tip: Canggu has an impressive street art scene and the epicenter of it is at AllCaps Store. Go to the back of the actual gallery and you'll find expansive murals. Glamor and ghosts: exploring bomb shelters and secret tunnels underneath Hotel Metropole. Informative and easy-to-read guide on China.